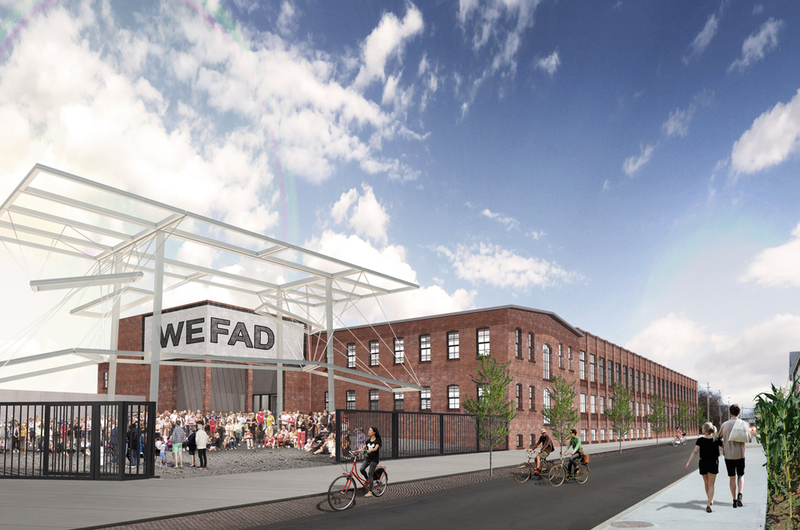 West End Food, Art & Design (WEFAD) is part of a group of redevelopments happening in the West End neighborhood of Providence, Rhode Island - with other projects like: Rooms & Works, Westfield Lofs, Sankofa Residence Development and others. 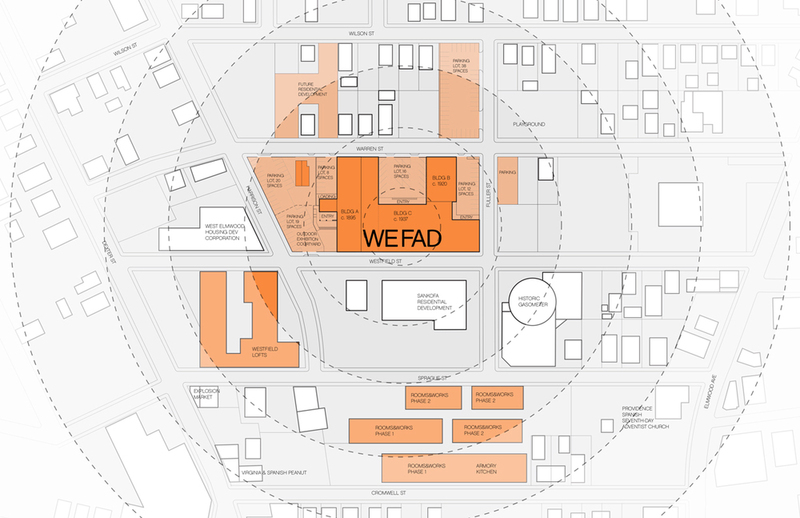 WEFAD, as does other developments in the area, directs its attention to providing, work, community and exhibition space to the creative class of Providence. The building is split into 3 different user groups: art/exhibition, maker/live work tenants and community space - each meant to feed and foster growth from one another. 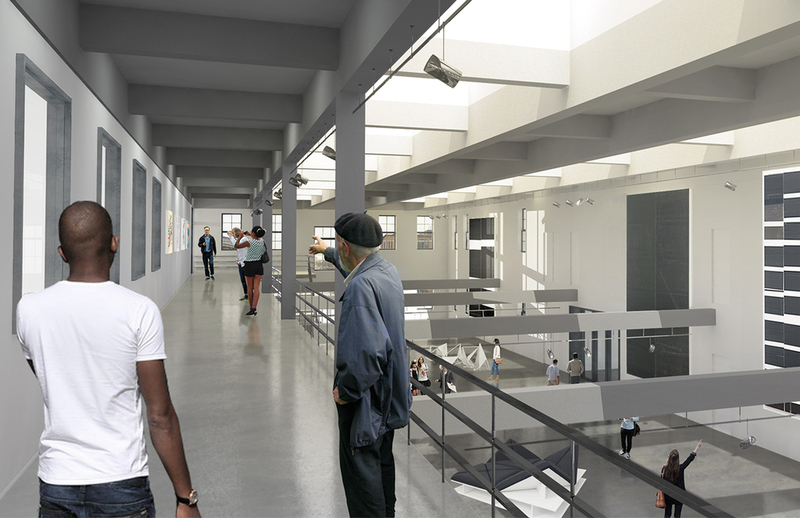 The building offers a double height interior volume with a sloping floor to a basement level as a large, exciting exhibition space for students and artists in the area. 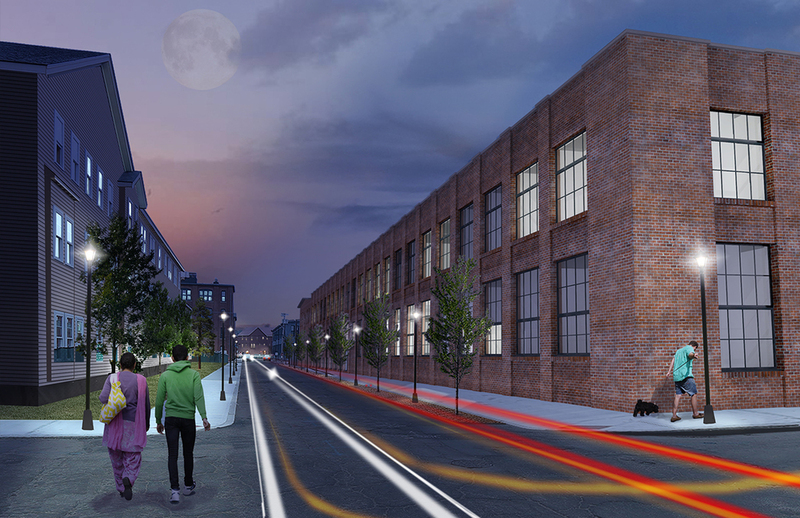 Lined with artists studio on one side, spilling into an outdoor courtyard/event space on the other. 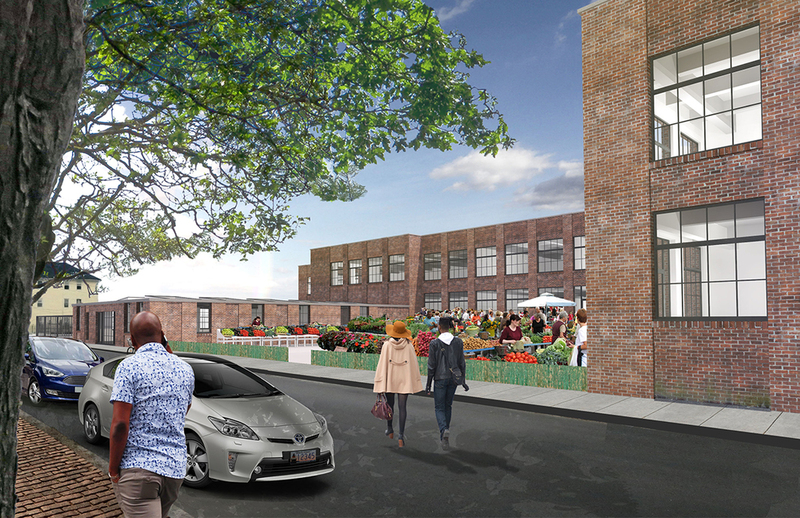 In addition to this primary event/exhibition space, the building accommodates a number of maker spaces, live/work spaces on the second and third floors, hydroponic farm in the basement, and greenhouse on the roof. The community space, used for community meetings and markets, supports and promotes the makers around the area, giving them a place to sell, distribute and show their work. 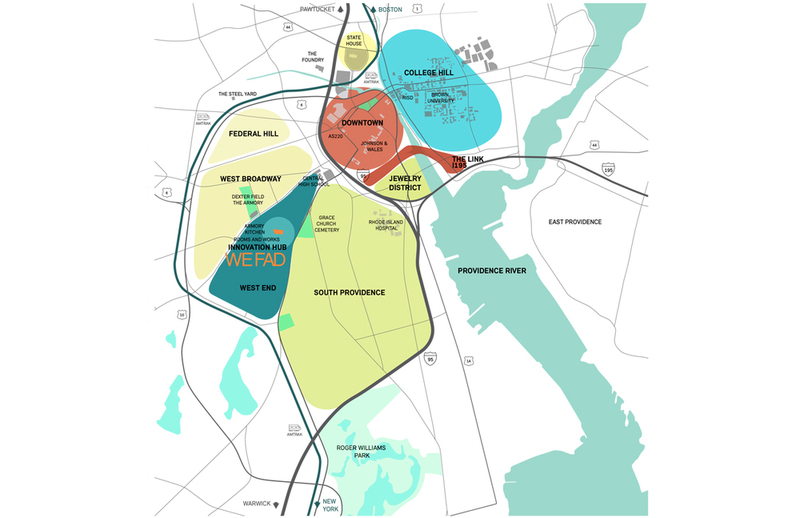 As part of this feasibility study, Freecell explored in the re-design, re-development, and restoration of the historic building, and offered a study of Providence and the surrounding site to assist in understanding the realities of the proposal, its potential downfalls, and its potential successes. 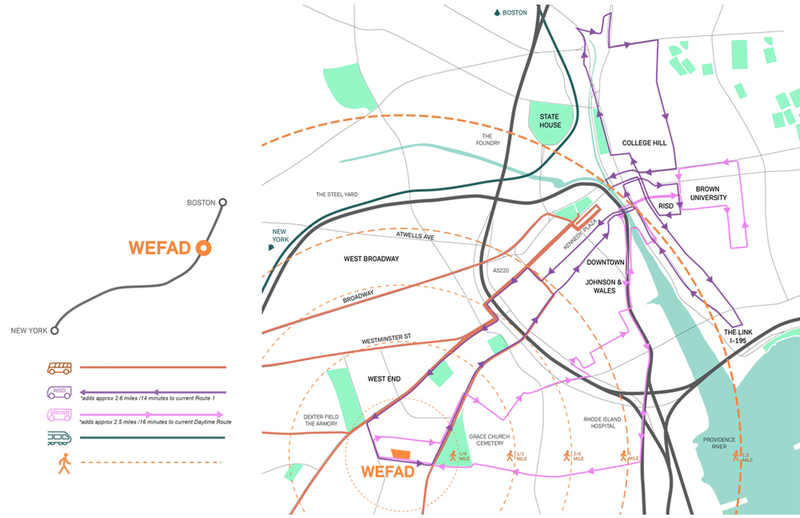 The final deliverable was a package of maps, and images to help with the promotion of the development to the city and possible investors.